The life of Valerio, owner and creative director of an advertising agency, with a past as an award-winning and talented copywriter, is trundling along quietly without any sort of excitement. This apathy and his lack of creativity sends his agency as well as the relationships with his colleagues into crisis. The company in fact is in the red with a bank loan that needs to be repaid. To save “Pontelungo” Valerio is willing to do anything, even taking custody of the pestilential Spugna, his nephew’s dog, who has to give him up because of his allergy. 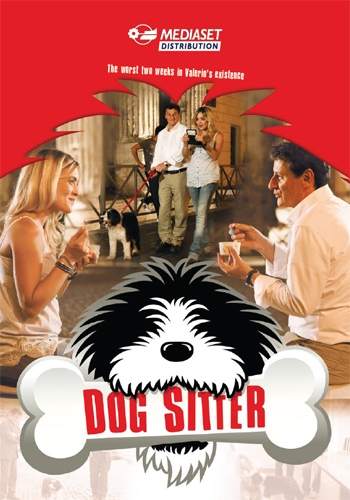 Thus Valerio finds himself forced to live with Spugna, a cheeky dog who will upset his domestic and work routines in unexpected ways. After a long series of incidents and misadventures, though, Valerio regains his lost creativity thanks to Spugna and, above all, he will s a human side of his character that none of his friends or colleagues had any idea existed. A new man from many points of view who will finally manage to approach one of his employees whom he has been ignoring for too long, the beautiful and resourceful Emma. This entertaining triangle is orbited by unhappy clients, competitive ex-wives and treacherous friends who will lead Valerio and Emma to resolve the company’s economic problems as well as saving Spugna who has been caught up in a dangerous illegal animal trafficking ring.